Now that FCO travel restrictions have been lifted, Tunis, with a flying time of under three hours, makes for a good long weekend break. Rupert Parker explores this historic city. 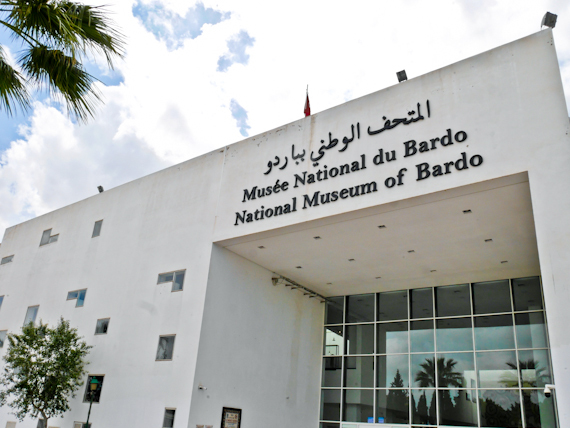 Shop in its medina and markets, visit the Bardo museum to see its outstanding collection of Roman mosaics, explore the ruins of Carthage or relax on the beaches of Gammarth. 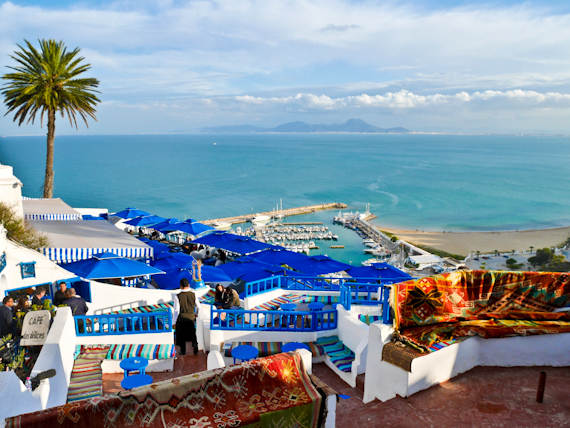 Best of all catch the sunset from the blue and white village of Sidi Bou Said. 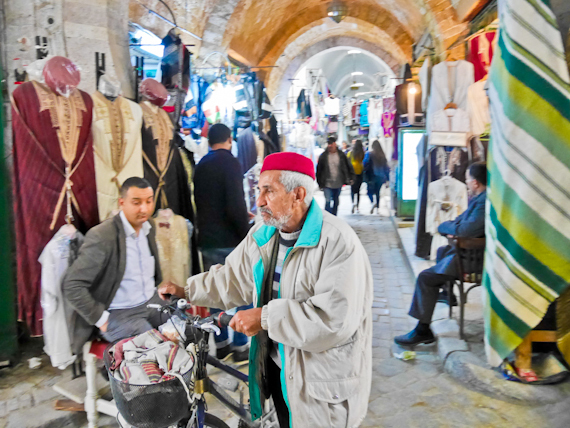 Tunis is really a tale of two cities. 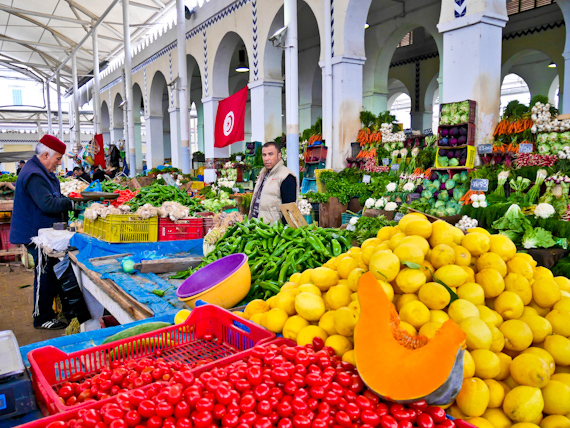 You’ll arrive on the palm-lined Avenue Habib Bourguiba, the Tunisian equivalent of the Champs-Élysées, with tall shuttered windows, wrought-iron balconies, cafés and patisseries lining both sides. 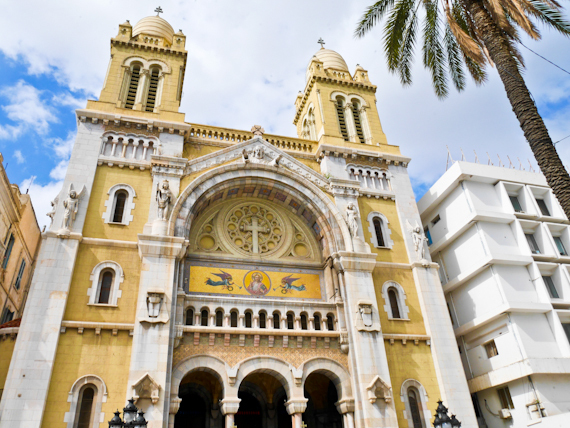 This is the Ville Nouvelle, built by the French, and the 1883 Cathedral of St Vincent de Paul, with gothic, Byzantine and Moorish touches, dominates. Mass, in French and Italian, is regularly celebrated inside, although these days, the congregation is fairly small. Mixing the new and old is the Central Market, just off the main avenue. Although it dates from the 19th century, the activity here has remained unchanged for hundreds, if not thousands, of years. The star attraction is the fish section where you’ll see the day’s catch displayed – evidence of their freshness is the crimson of their gills. 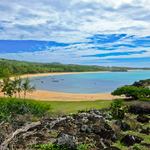 It’s a noisy place, as sellers compete to have the loudest sales patter and you might trip over a huge tuna, beached on the floor, or stumble across writhing live eels. There’s also a huge fruit and veg section plus a varied selection of cheeses, olives, pickles and harissa. 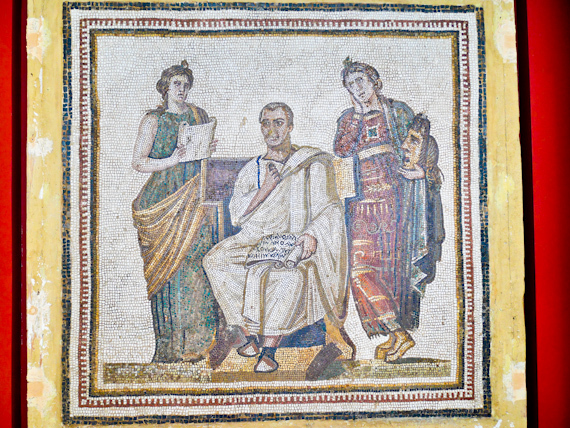 In a suburb of the city is the Bardo Museum, housing one of the world’s finest collection of Roman mosaics. The building itself was originally a palace of the Beys, the Ottoman rulers and a modern wing was added in 2012. The mosaics come from archaeological sites all over Tunisia, including Carthage, Hadrumetum, Dougga and Utica. Of course they’re stunning and in a remarkable state of preservation, the colours still vibrant. They seem to be so plentiful that in one part of the museum, they line the floor, walked over by thousands of visitors. They’re hoping that in the future there will money forthcoming to better protect them. The remains of the Punic and Roman city of Carthage lie to the north east of the city and Carthage Hannibal station is where you get off the train. Hannibal, the famous elephant man, was a resident here but it was founded by the legendary Dido, immortalised by Virgil in the Aeneid. Unfortunately, the Romans razed the Punic city in 146 BC, before building their own city. It was the biggest in North Africa but the Muslim invasion in 698 led to its abandonment. In the early 20th century developers built over most of what remained and these days, there’s not much left. You can still make out traces of the baths, houses, cisterns, basilicas and street but you’ll need to visit the Carthage museum to get a fuller understanding. 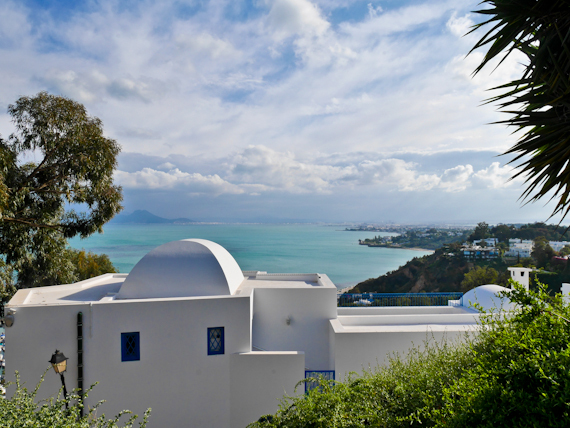 Although Sidi Bou Said is something of a tourist trap, this cliff-top village never fails to disappoint. It contains the Mosque and Zaouia of Sidi Bou Said, a 13th-century Sufi saint, but it was 16th century Muslims, expelled from Spain, who added the Andalusian architecture. In the 1920’s, French painter and musicologist Baron Rodolphe d’Erlanger built his palace here and enforced the distinctive white and blue colour scheme. The best place to watch the sunset is from the Café des Délices but you’ll need to get there early to bag your seat. 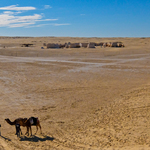 Discover Tunisia has tourist information. 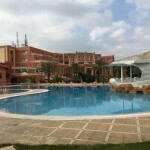 The Regency Hotel, in the Côtes de Carthage area, just outside Tunis, is handy for the city, airport and nearby beaches. Hotel Africa is right on the Avenue Habib Bourguiba. Restaurant Fondouk El Attarine in the Medina serves local specialties inside a former caravanserai. Restaurant Dar El Jelt is a restored 18th century mansion in the Medina with a dining room in the covered courtyard. It also has a handful of rooms. TunisAir flies direct to Tunis from both London Gatwick and Heathrow. The Gatwick Express is the fastest way to the airport. The refurbished Travelodge Gatwick, with its new SuperRooms, is handy if you’re taking an early morning flight.